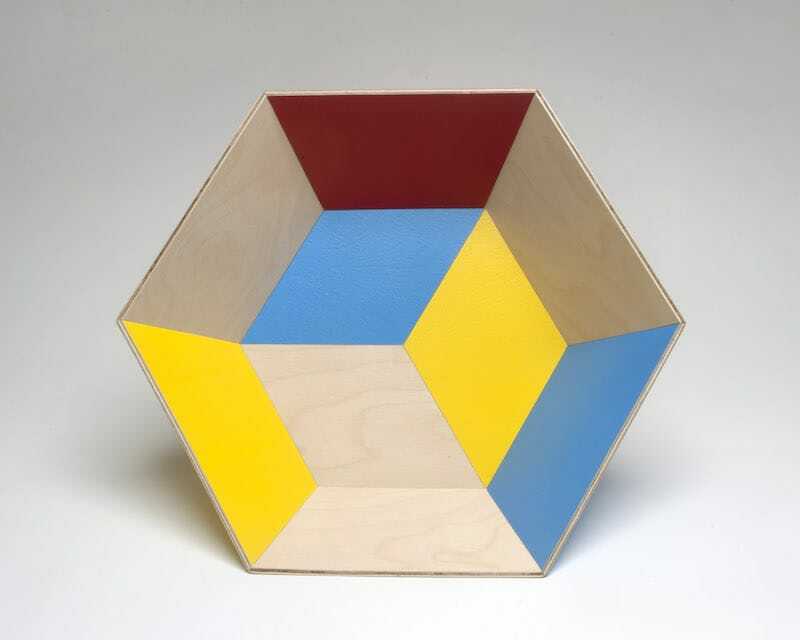 Geometric, sculptural bowls hand-made in Melbourne. Featured in The Design Files, Vogue Living, and Furnishing International. I designed these bowls while living in Copenhagen. They were partly influenced by the location of my workshop on ‘Teglgårdstræde’ (tile yard street) within the old city walls and the interlocking patterns of tiles that this name suggests. The bowls are made from high-quality Birch ply popular in Scandinavia, and finished with food-grade water-based polyurethane. They are food safe and water-resistant and can be used for salads, fruit and other food. They can be washed with warm water and soap. I made the first Bowl:Interrupted for the Victoria Woodworkers Association 'Create from a Create' competition in early 2014.This version uses recycled Australian and North American timber from old warehouses, industrial crates, houses and flooring.